This year’s Met Ball theme was focused on the evolution of punk-rock. From “Chaos to Couture”, punk fashion has made quite the transition into today’s trends. While wearing studded pumps or edgy jewelry is an easy way to incorporate the theme into everyday wear, it’s the makeup and hair that can make this look tricker to tackle. Rose-Marie did a few supermodels’ makeup this year, including Gisele Bundchen, who is both a client and close friend. To keep the look edgy without being overdone or even scary, Rose-Marie made sure the Brazilian looked both punk and chic when she hit the red carpet. Get started by applying a moisturizing foundation that won’t make your skin appear dry or powdery. Glowing skin is key for an accessible, modern punk look. For Gisele, the rms beauty “un”cover-up in #33 is the perfect color. Be sure to match your skin tone to a concealer or foundation that works for you personally. Contour and shape the face to sculpt strong angles. Rose-Marie was going for a strong look but not too heavy–the secret is blending everything perfectly to avoid a harsh look. Try contouring with the “un”cover-up in #44 as it isn’t orange or red based and will look natural and real. For a raw, smoky eye, try using a cream shadow versus a powder one to get slight creasing that will create that slept-in look, which is both sensuous and alluring without looking cheap. 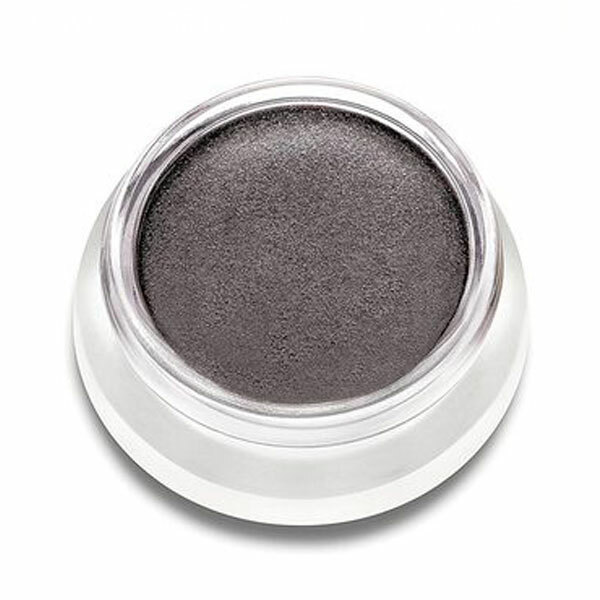 To do so, Rose-Marie used the karma cream eye shadow. It isn’t as harsh as a straight black color because karma has just a hint of dark brown with a slight cast of silver, creating more dimension and depth to the look. Develop the smoky eye by blending it in an oval shape at the ends rather than pointed or cat-like. Do not let the shadow get too high towards the brow bone (more like a sideways oval) or go too black because that can lean toward the rock and roll direction. Next, apply lots of black mascara (rms beauty living lashes mascara coming fall 2013) in almost a clumpy manner so it doesn’t look too polished–keep it smudgy and on-trend for the punk look. Add glow to your skin by reflecting light with the living luminizer or try applying a little beauty oil to the cheekbones to get that dewey finish. Do not go in a frosted highlighter direction or it gets too glam for what you’re wanting. Powder only in the t-zone, and be sure to keep it subtle. The “un”powder works fantastic for this purpose. If the face is too heavily powdered, then you will lose the effect of what you are trying to achieve and instead the makeup will appear heavy and flat. To modernize the look, keep the lips more natural (for Gisele, Rose-Marie used the moment lip shine) by using a neutral lip color or even just using the lip & skin balm. If you choose to go more extreme, use a dark, rich red-burgundy shade. The illusive and rapture lip2cheeks are a perfect combination for this color. Again, avoid a classic red shade as this will veer more towards glam. Comb the eye brows up for drama with a little brow gel or hair spray. For more drama, darken the eye brow slightly using a soft brown powder shadow. The seduce cream shadow also works great for this if you have darker brows. Remember, it is all about the skin…Raw, beautiful, moisturized skin and that dark, smoky eye create a perfect modern-day punk look!